Governor Fayose takes to the streets of Ado-Ekiti to bid residents goodbye - SWANKYLOADED OFFICIAL BLOG. 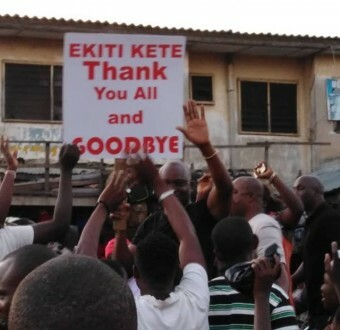 Ekiti state governor, AYo Fayose, took to the streets of the state capital, Ado-Ekiti, earlier today to bid residents of the state goodbye as his tenure comes to an end on October 16th. See more photos below.